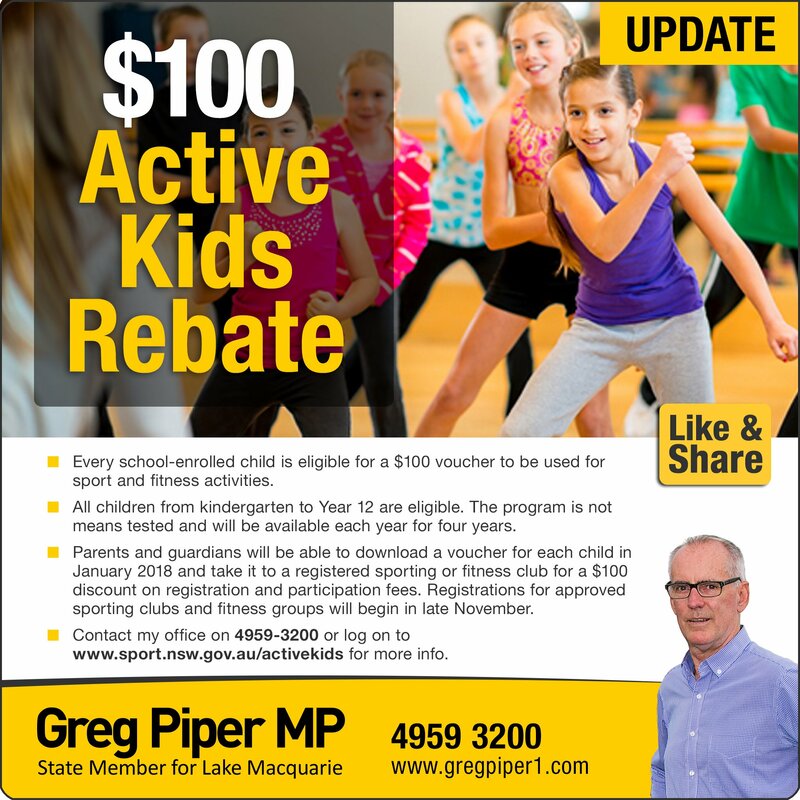 Here's a brief update on the $100 Active Kids bonus which was announced in the State Budget. Sporting and fitness clubs can register from late November, with the vouchers available for all school-enrolled children (K-Yr12) from January. The rebate is not means tested and will be available every year for four years from 2018.